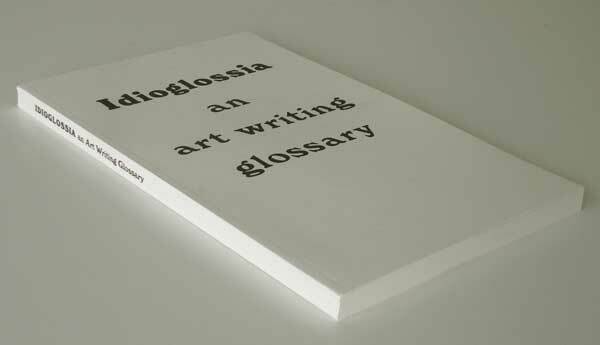 From ‘Anxiety’ to ‘Ventriloquism’ this new glossary of art terms is published by Goldsmiths MFA Art Writing students following workshops with the Whitechapel Gallery.The event features readings from Ed Atkins, Federico Campagna, George Major, Amélie Mourgue D’Algue, Hannah Black and other contributors.Idioglossia will be available for sale at a special launch price of £10. It will be available during the launch, at the entrance to the main gallery, and can be found in bookstores at its regular price throughout London. It is distributed in Europe and North America by Motto Distribution.We look forward to seeing you there.